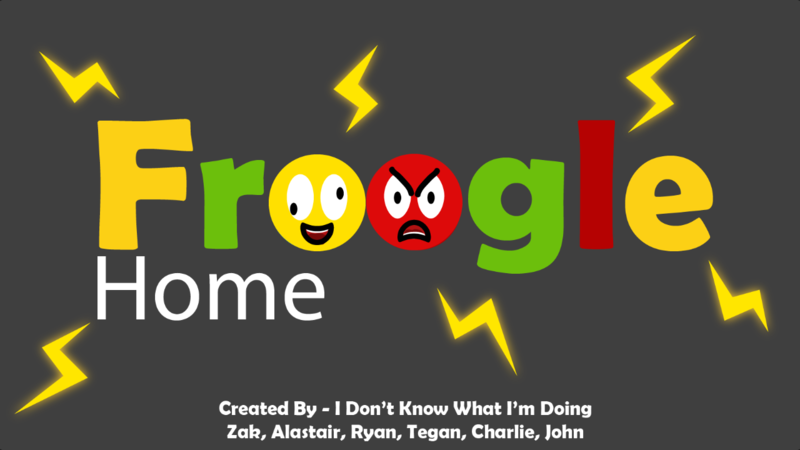 Made in Melbourne for Global Game Jam 2019 (page: https://globalgamejam.org/2019/games/froogle-home). The theme was "what home means to you", so you play as a "Froogle" Home and try to convince the homeowners to buy smart appliances, obviously. Download and extract the archive for your platform, run the binary. It should just work (but let me know if it doesn't, I'm still getting the hang of this Godot thing). I'm curious to try out this game, can you provide a Mac build as well? Thanks! Hey, thanks for your curiosity. Exporting for Mac is pretty easy from Godot, so the only reason I hadn't done it thus far was that I had no way to test it. I've uploaded a build now if you'd like to try it. Hello there, yes it is working even if I don't hear any music, I don't know if actually there is any :) . Also, it is not clear how to play and what I am supposed to do, maybe just a quick intro tutorial or something like that at the beginning could be good. The graphics are nice and I love the characters. Awesome, thanks for trying it out. The game has a Mac port now! And you're right, there isn't any background music. 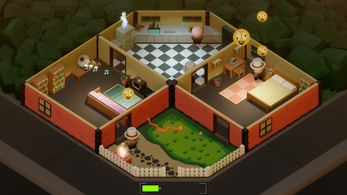 The gameplay is a bit vague, so to spoil it a little bit, you want to make the inhabitants angry with the devices around the house to convince them to upgrade to the Froogle alternative, by turning them off. Happiness is shared, so the best way to do it is to focus on one device at a time.